Chroma Cars is a full service Search Engine Optimization agency with an experienced team of car dealer SEO experts. Your dedicated dealership SEO supervisor monitors you and your primary competitors for visibility, positioning and local relevance. We work to insure top 3 ranking (on page one of Google organic results) for the keywords and semantic content concepts that drive SEO for car dealerships in sales, service appointments & parts purchases. Whether you’re looking to audit and understand current in-house or outsourced automotive SEO efforts, or ready to really grow your unfair share of your market's car dealer SEO ranking, our free SEO team awaits your engagement with our free automotive dealership SEO analysis. We’ll audit you and your competitor’s strengths and weaknesses and activate a plan to place or keep you at the top of Google and Bing’s page one organic rankings. We offer weekly, city-specific content / blogging & page building packages to begin securing your dealerships organic ranking. Our basic SEO packages can help position you as THE authority on used, certified and/or new vehicle sales, service & parts purchasing in your market. Our more intensive packages can help you dominate your primary PMA while simultaneously solving for conquest cities that make sense. We’re sensitive to your OEM's SEO restrictions and are fully versed in all OEM paid & organic search compliance requirements. Our team sets up detailed (per rooftop) project monitoring . Monitoring your SEO keywords, traffic & competitors daily, weekly and monthly you’ll rarely be caught by a competing SEO keyword sniper. Keyword movement and opportunities are reviewed and targets adjusted as needed. Our blog and page builds go through a rigorous review process where proper SEO tags and techniques are verified under strict quality control standards. We utilize the latest in grammar and duplicate content detection software moving your dealership to the first page of Google, Bing & other popular search engines. If we have designed and are hosting your car dealer website it has already been built with robust, localized content pages, Google Webmaster approved architecture and fully optimized text image & video tags. Our best car dealer websites content package includes targeted & SEO-optimized text for high traffic pages. We focus on new and used car search results pages, trade-in pages, vehicle specials & service coupon pages and pages specifically designed to take over nearby geographic areas and nearby competitors. 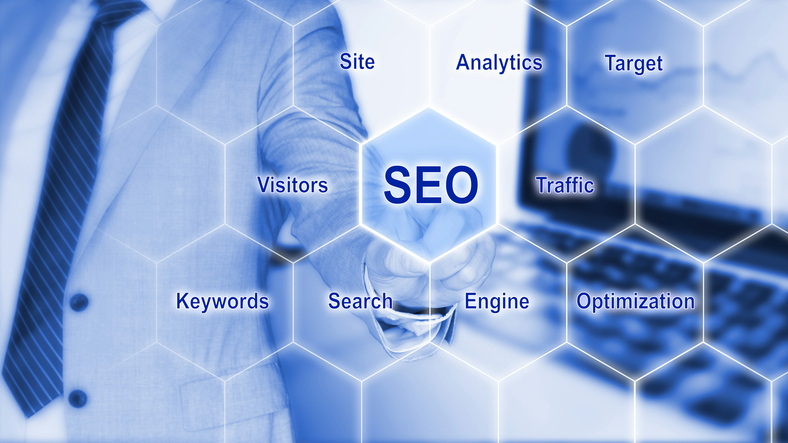 SEO is a field that can change with the monthly or quarterly wave of a Google or Bing Wand. Keeping up is, quite literally a full time job. Chroma Cars' SEO for car dealers starts with experts who stay in perpetual learning mode. Our SEO teams are constantly monitoring Google, Bing & Social media SEO blogs. Staying on top of the latest search engine algorithm updates and changes takes a serious time commitment. Chroma Cars monitors many different sources and takes the necessary steps to insure our client websites stay a breath behind major search engine algorithm updates as they occur.